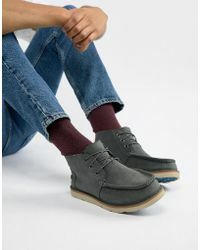 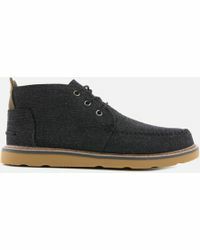 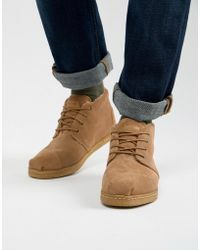 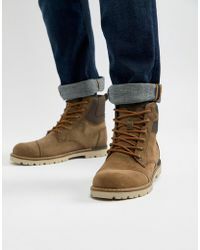 Tom's is a well established name in the men's footwear world and was set up in 2006 in California. 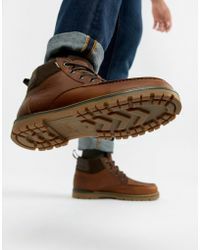 The brand is the go-to for men looking for hardworking footwear that also looks good, as well as those who like their shoes and boots from a philanthropic source 'Tom's 'One for One' policy means that every new sale for them means a new pair of shoes for a child in need. 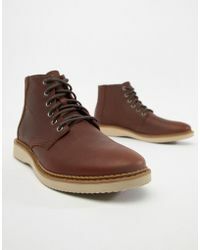 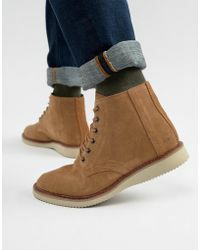 Tom's range of chukka boots and ankle boots is strikes the balance between form and function. 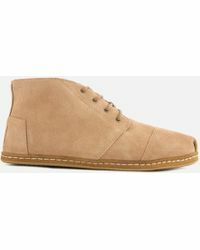 Many of the designs are inspired by the brand owner's experiences in Argentina and all offer a combination of style and practicality.